Gumboot Friday, 100% Kiwi Artists & Rock the Bay. With guests Paul McConachie from Youth & Community Works & Stella Molloy playing 2 of her original songs. She played an amazing song she wrote about the Christchurch Terror Attacks. Featuring Broods, Stella Molloy, SIX60, Elemno P & More amazing Kiwi Artists! Interview with Youth Ambassador, Ezekiel Raui. Also with National Coordinator of SS4C, School Strike 4 Climate, Sophie Handford. Featuring music by Linkin Park, Salmonella Dub, Dave Dobbyn and more. Bullying, Counselling, Hotlines. With Guest Selena Serra. Featuring Billie Eilish, Broods, Alessia Cara, Britney Spears and more. Abbie and Maraed talk to Sharyn Casey about various topics, e.g. 00's Music, Giveaway, Sharyn Casey Interview and more; featuring music by Train, Evanescence, Christina Aguilera and more. Abbie and Maraed talk about Woman Artists and Achievements and School Holidays; featuring music by Broods, VTMNK, Ginny Blackmore and Kimbra. Abbie and Maraed talk about 70's Music and facts and the Erebus Plane Disaster; featuring music by Queen, Fleetwood Mac, Abba and more. Abbie and Maraed talk about concerts, events happening in The Bay, Youth Hub and the A&P Show; featuring music by The Killers, Broods, Hilltop Hoods and others. A fun, entertaining afternoon Youth Show hosted by Abbie and Maraed. Today we talked about New Years resolutions, The A&P Show, and the Golden Bay Youth Hub Holiday programme. 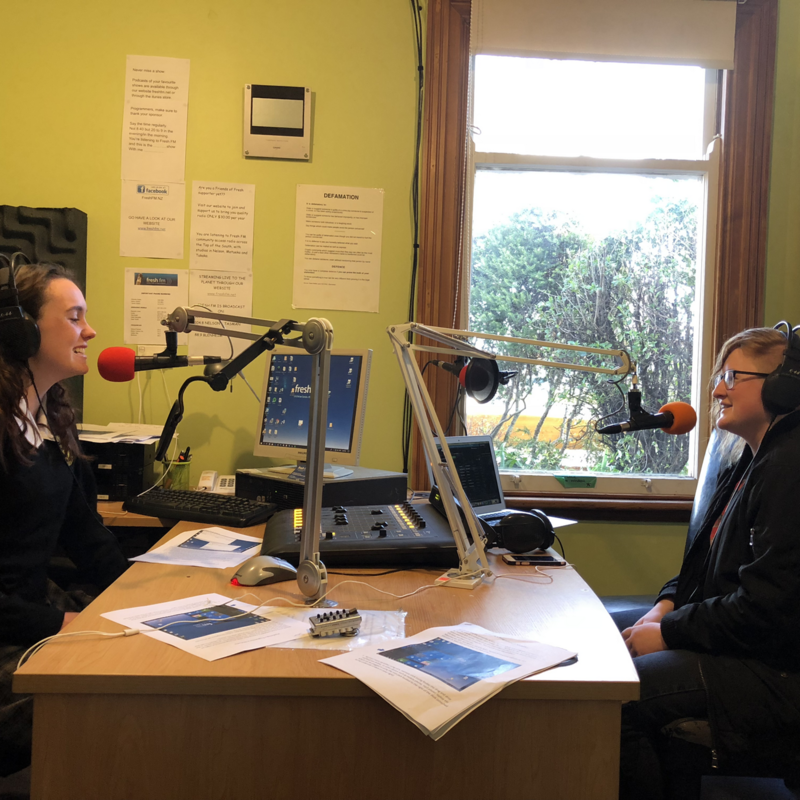 Maraed and Abbie come live to you from the Takaka Studio with whats happening in the world for young adults. They play an eclectic mix of music and have interesting chats.